Maui Jim Kipahulu H279-03F Sunglasses. Inspired by the Kipahalu World Cup, the only worldwide blue marlin fishing tournament. 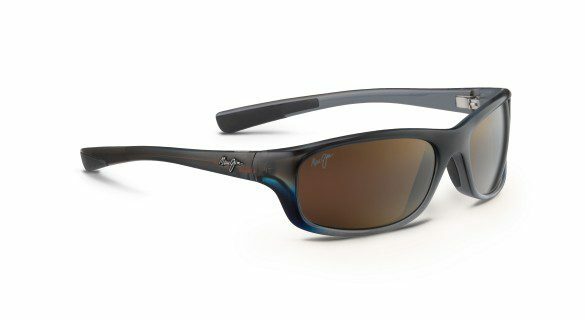 These sunglasses are perfect for driving or relaxing on the beach, because the frames are saltwater safe. HCL Bronze lenses are suitable for everyday variable conditions, from full sun to overcast. They provide excellent contrast and are great if you love a warm, subtle bronze tint. The rectangular style frame provides a close fit and the angular temples curve slightly inward for extra comfort and protection. Rubber nosepads are recessed into the saddle-style bridge, to ensure they stay put. They come complete with Maui Jim case and cleaning cloth.